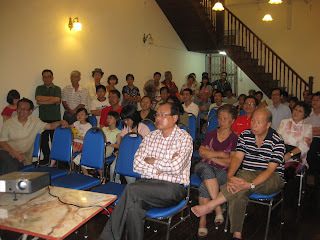 Just as we listen to elderly members of our family talk about life in the old days, an audience gathered in the Red House at Jalan Tan Hiok Nee last Saturday night to share a nostalgic evening with Hong Say Tee, an entrepreneur who arrived in Johor Baru from Fukien Province, China in 1935. In coffee-shop circles, Hong is renowned as Johor Baru’s Coffee King because he made a name for himself as a leading owner of coffee-shops and cafes in the city. Listening to Hong speak about the Johor Baru he knows, was like turning back the pages of history for a glimpse of life in Johor Baru in pre-war days through to the 1950’s and early 1970’s. 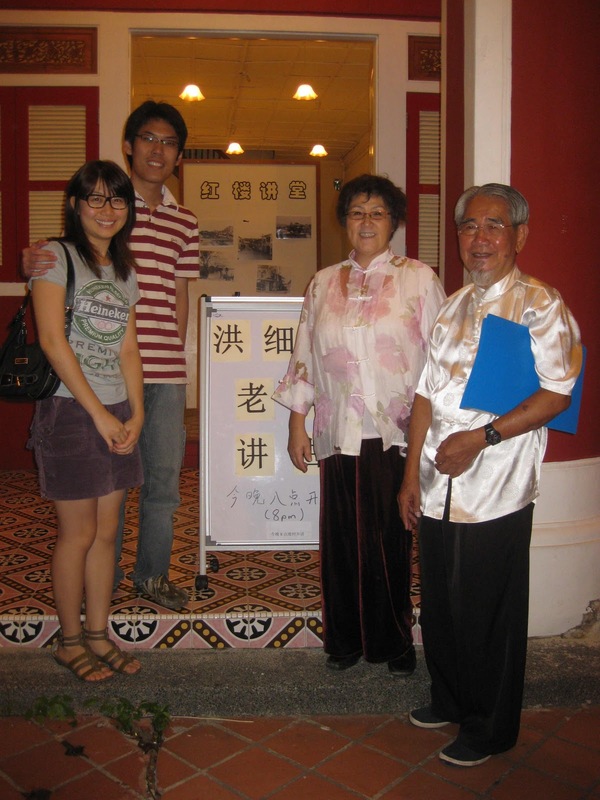 Tan Chai Puan, Director of the Teochew Eight Districts Association who gave a brief introduction of Hong, said that one of Hong’s coffee-shops was located at Jalan Ibrahim Sultan, a road known as hai ping lu or ‘seaside road’ (Mandarin) as it faced the Johor Straits. In the 1960’s while Tan was in that area, he was involved in a motor accident and later realized that the rescuer who came to his aid was none other than Hong, the owner of the hai ping kopitiam or ‘seaside coffee-shop.’ The site of that shop is now occupied by a club. Wearing a Chinese design white satiny top, 88-year old Hong, who still has a full head of hair and sports a little beard, looked every bit like the sage he is with much to share about life’s experiences. If he was at first feeling rather awkward to speak into a microphone to an avid audience, he soon spoke passionately as he warmed to the subject close to his heart. Using visuals from old photographs, his presentation in Mandarin was casual, with frequent breaks to listen to comments and answer questions from his keen audience. Johoreans, familiar with the annual tradition of the Chingay parade, were thrilled to see a faded black and wide photo that showed part of this parade along Jalan Tan Hiok Nee in the 1950’s. This pulsating parade is an annual tradition in Johor that has been kept since the 1800’s without any interruption except once during the Japanese invasion in 1942. 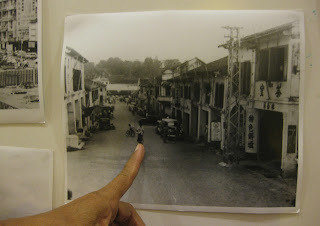 As Hong discussed the history of the Red House on that road, he pointed it out in the background of this photo, a building then not painted in red but easily recognizable by the ornate design of its balcony. 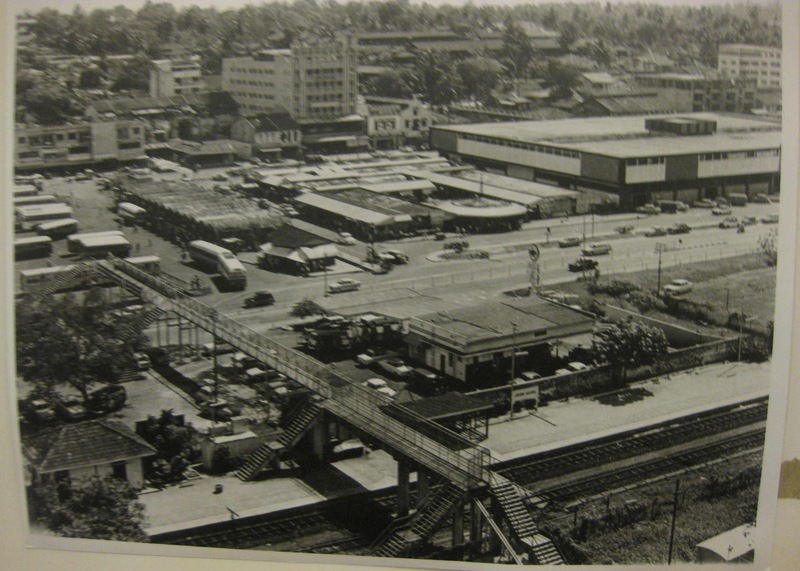 Hong is familiar with this area because his family members also owned coffee-shops at Jalan Dhoby, Jalan Pahang and Jalan Wong Ah Fook. Aware of the tastes of the British in Johor at that time, Hong was an innovative pioneer who transformed traditional coffee-shops into modern cafes and snack bars in the city. 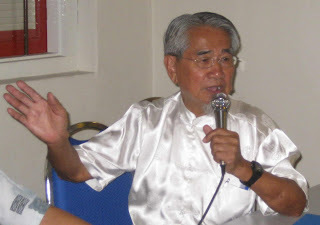 The mention of his former businesses in popular dining destinations like Wato Inn and Wato Snack Bar along Jalan Ibrahim, struck a familiar chord as many in the audience nodded their heads in recognition, probably because they once dined there! Interesting details in a photo of Jalan Wong Ah Fook bordered by Jalan Siu Nam and the Segget River depicted boats that used to transport goods like fish, wood, pepper, gambier and charcoal. 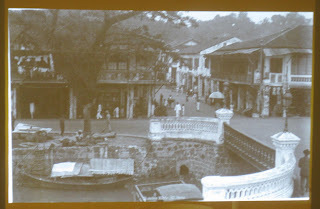 The river was then an important waterway, navigable up to where Tropical Inn is and bridges across the river allowed sampan laden with goods to pass through with ease. From another photo of the old market built with wrought iron in 1894, located on a small triangular island where the Mara building now stands, Hong vividly described the market’s various sections allocated for the sale of meats, vegetables and other goods. Before the causeway existed, the mode of transport between Johor and Kranji in Singapore was by ferry and jetties were constructed along the Segget River’s sheltered estuary. 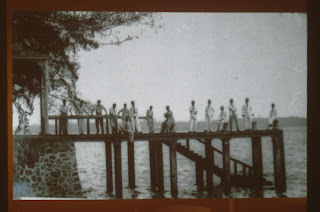 A photo of one such jetty with travellers on it gave the audience an idea of how elite men in Johor Baru used to dress. Their preference seemed to be the Western ensemble of linen trousers teamed with shirts and many wore neckties and blazers in complete white suits. 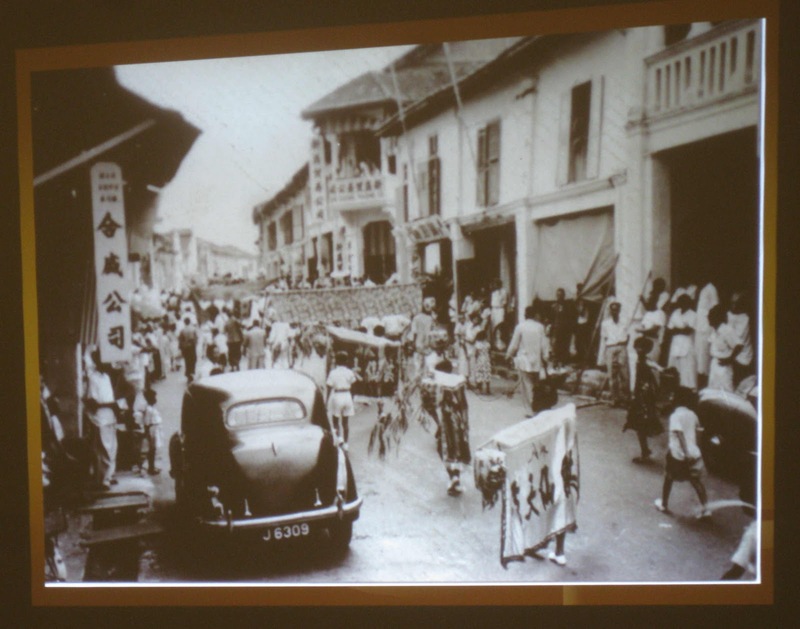 In the mesmerizing 90-minute talk that included poignant anecdotes of atrocities during the Second World War, the number in the audience gradually swelled as visitors to the cultural street found their way into the Red House. 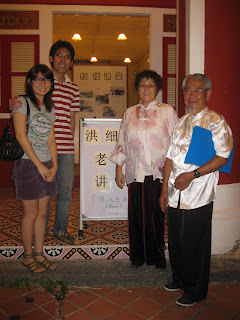 This nostalgic evening with Hong Say Tee was organized by the Tan Hiok Nee Heritage Walk Committee in a calendar of cultural events planned in the Red House and Tan Hiok Nee Heritage Walk to bring more excitement into the heart of old Johor Baru. Thanks for writing about Wato Inn and Wato Snack Bar. 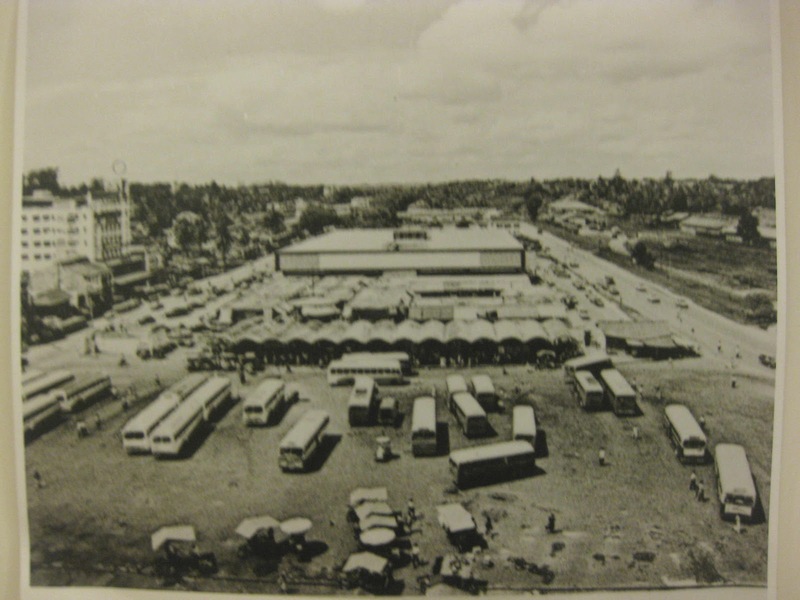 Brought back wonderful memories of fried noodles at the Inn and curry puffs and chocolate milk shakes at the Snack Bar with Mom, Dad and little brother. Well, actually there is one not-so-fond flashback: I remember going to watch the movie, "Earthquake" in '76. Prior to the show, we went to the snack bar and I had my favourite chocolate shake. Bad move! "Earthquake" was, if I recall correctly, the first movie with sense-surround and the shakes both inside of me and outside was not a pleasant combination. I went home and threw up! Till today, I'm terrified of earthquakes although I'm happy to say that I managed to enjoy a two-week tour of Japan unscathed! Look forward to more of your gems!